Things have gone a bit quieter now after half term week and town will probably remain relatively quiet until Easter. Still a fair bit going on though - so here's a selection of events for the coming week. 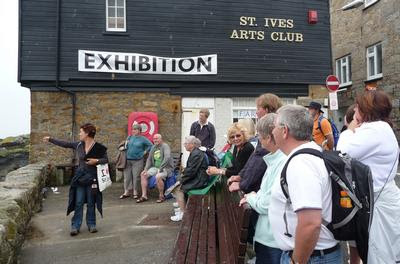 Monday (1st) sees the return of Guided Tours Of St Ives. 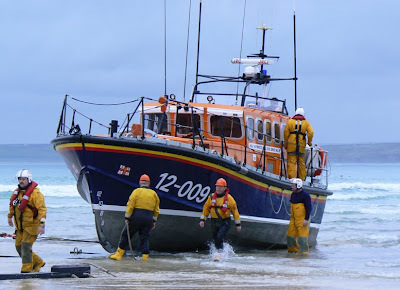 Meet outside St Ives Guildhall at 11.00 am, no need to book, cost is £5.00 per person. Tours will take place at the same time on Mondays, Thursdays and Fridays weekly until November. 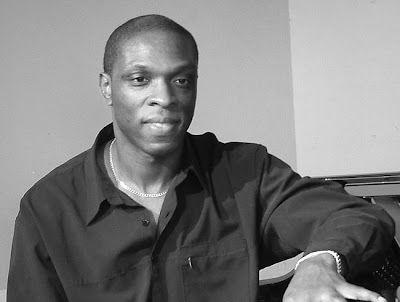 On Tuesday (2nd) St Ives Jazz Club are staging saxophanist Iain Ballamy with The Ralph Freeman Trio. Doors open at 8.00 pm, music at 9.00 pm, entry on the door £10.00 / £6.00 (members). On Wednesday (3rd) St Ives School of Painting have an art class - life drawing. Starts at 7.30, no need to book just turn up, cost is £7.00. 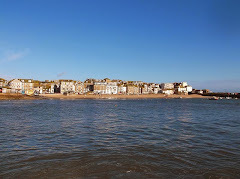 On Thursday (4th) the weekly St Ives Farmers Market is open from 9.30 am to 2.00 pm at St Ives Backpackers on The Stennack. Friday evening sees the opening on the new exhbition at Millennium - The House Of Fairy Tales. More than 100 artworks exploring folklore, mythology and metamorphoses with emerging, established and internationally acclaimed artists. Open daily until 28th March. 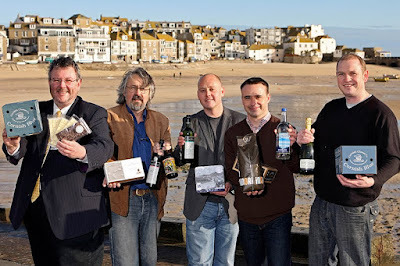 A celebration of the very best of Cornish food and drink - the first St Ives Food and Drink Festival - is coming to town in June. It will run from Monday 14th June with daily events in some of the town’s bars and restaurants. This will lead up to the main Festival weekend on Saturday 19th and Sunday 20th June, when there will be a Food and Drink Fayre at St Ives Guildhall. Food and drink producers from across West Cornwall will be taking part along with cooking demonstrations, recipe ideas and a range of food and drink related events at locations around town. Cornish Cheese Tasting - Cornish Deli - Monday 14th June. Fish Masterclass - Sea Food Cafe - Tuesday 15th and Thursday 17th June. How To Cook Cornish Mussels - Alba - Monday 14th to Friday 18th June. Lots more will be added so I will post details here in due course. There will also be a St Ives Food and Drink Trail - a map of St Ives and surrounding area highlighting all food and drink related outlets. Organisers now want to hear from every bar, restaurant, café and food retailer in and around the town who would like to have their details placed on the food and drink trail and on the Festival website. They are also seeking ideas for events. For more information contact Mercury PR. 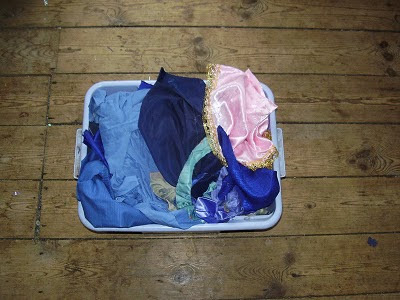 Has your house has been filling up with useful items which you no longer need ? There is now an opportunity to have a clearout and pass them on to others. St Ives Town Council is organising a Free For All event in The Guildhall on Saturday 6th March. Local residents and businesses can bring along any unwanted items, and also help themselves to any of the items which other people have brought along. There will also be some surplus furniture, prints and other items brought along by local hotels which have been having a refurbishment. Goods can be brought to the Guildhall between 3.00 pm and 5.00 pm on the Friday evening or from 9.00 am on the Saturday morning. You can turn up and help yourself to the goods on offer between 10.00 am and 2.00 pm on the Saturday. The only items that you can't bring are electrical items, so you can bring along absolutely anything else which is in a usable condition. St Ives has gained its first politically correct chip shop. The Balancing Eel has been awarded the CHEFS (Cornwall Healthier Eating and Food Safety) award by Cornwall Council's Food Safety Police. To achieve a gold award "food establishments must satisfy council food inspectors that they not only offer healthier dishes but through preferential pricing that they actively encourage customers to choose them". Cornwall "cabinet member for stronger communities" - Lance Kennedy (Con - Bodmin East) said: "This is a great scheme and I'm delighted that we have added the traditional fish and chip shop to the list of award winners". At last somewhere that middle class mummy can safely take little Toby and Pandora to enjoy a free range fairtrade sustainable organic ethically sourced zero carbon footprint low food miles quorn fritter with baked chips. While at the same time celebrating diversity. I'll be sticking with St Ives best chippy - The Albatross in Chapel Street. Pukka steak and kidney pie, proper chips cooked in industrial strength dripping, mushy peas and afterburner curry sauce. Yum. My daughter is at Truro College studying photography amongst other things . They seem to be so short of money that she (or we) have to pay for basic items such as sim cards and photo paper. St Ives day centre for pensioners is set to close. The council tax increase for 2010 has been set at the maximum 2.9 % (again!!) to "boost council coffers". 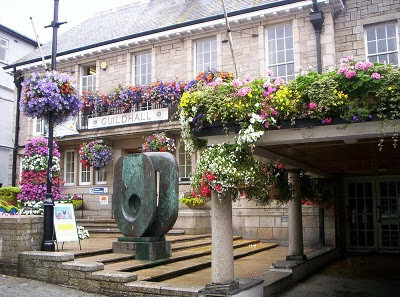 Cornwall Council leader Alec Robertson (Con - Helston North) said "the annual council budget of £451.9 million, including the decision to increase council tax, was "a good one, founded on good Cornish common sense and pragmatism". But Cornwall Council are still happy to waste our money on stupid politically correct schemes like CHEFS and many others. Like many of you I'm about to get a bill through the letter box for something approaching £1500.00 - can't pay won't pay ? The programme does look a bit different this year - and a good mix of different genres. Legendary guitar hero Robin Trower is coming to St Ives - awesome ! 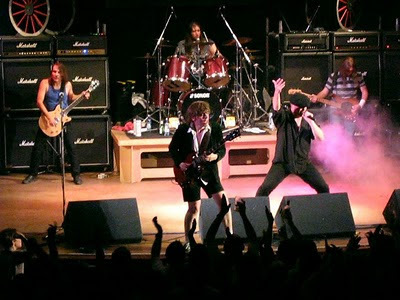 I can also vouch for the fact that AC/DC trib. band Livewire are the closest thing to the real thing you're ever going to see and hear. Still a few slots open - Mark - any chance you'll book Lacuna Coil ? Tickets will not be available until Easter - when you'll be able to get them from St Ives Tourist Information at The Guildhall. The full programme will also be published at Easter with more details of the arts programme, films, theatre, talks and other smaller events. Still plenty going on in our little town - so here is a selection for the coming week. Tonight (20th) tribute band Not The Beatles are at The Lifeboat Inn. Starts at 9.00 pm, free entry. Tomorrow (21st) there are pub quizzes at both The Queens Hotel and The Union Inn. Start time is 8.00 pm. On Monday (22nd) St Ives School of Painting have an art class - Life Drawing. It starts at 7.30 pm and costs £7.00 - no need to book just turn up. Tuesday (23rd) sees the regular St Ives Jazz Club gig at The Western Hotel. This week they're staging Trevor Watkis Trio. Doors open at 8.00 pm and music starts at 9.00 pm. Entry on the door is £10.00 or £6.00 for members. On Wednesday (24th) St Ives Folk is at The Western Hotel - Kiddlywink Bar. Starts at 8.30 pm, free entry. Thursday is Cafe Frug night at St Ives Arts Club. An eclectic mix of music, poetry, prose readings, comedy and film hosted by the inimitable Bob Devereux. It starts at 8.00 pm and entry on the door is £4.00. On Friday its Late At The Tate starting at 7.00 pm. Free entry to the galleries until 9.00 pm. Music, food and a pay bar in the café until 11.00 pm. Film - Rebecca - tickets £5.00. 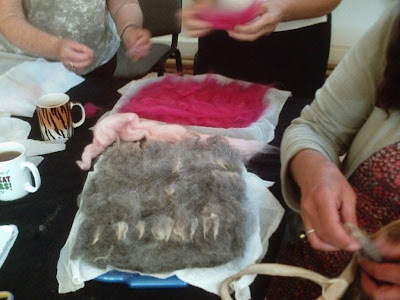 My wife Jo is running two textile art workshops in St Ives this month. Saturday 20th February - Monoprinting On Fabric. Saturday 27th February - Fabric Collage. Each costs £40.00 including materials. Get in touch with Jo if you'd like to book or want more info. Also - let her know if there is a textile related workshop that you'd like to see her running later in the year. 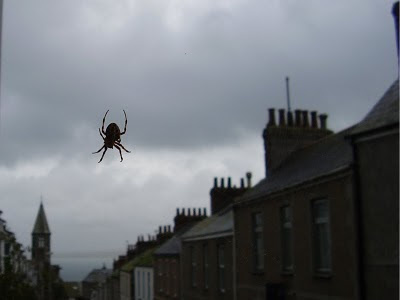 I've received information from an anonymous but well placed local source about the next tenant of Woolworths on Fore Street. The story is that one of the big pizza chains is moving in. Not sure which one but presumably Pizza Hut, Dominos or similar. 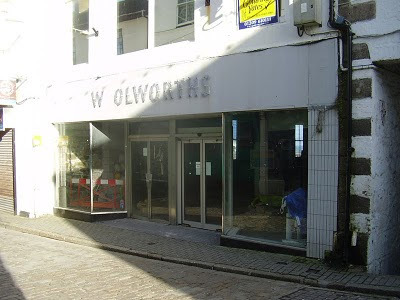 Also that JD Wetherspoons long rumoured move into St Ives is finally happening. I'm told that it will be the company's upmarket brand "Lloyds No. 1" moving in. All of this is totally unsubstantiated - so if you know any different let me know. Some of the events and writers have been confirmed for the May Festival. Two local writers will be appearing. 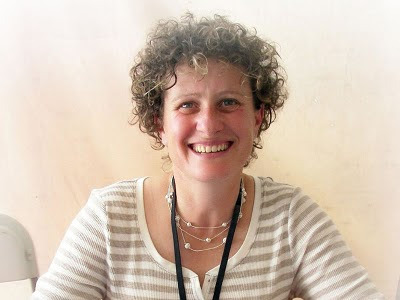 Best selling children's author Liz Kessler will be reading a few excerpts from her published books and give a sneak preview of her soon-to-be-published book. She'll also answer questions about writing, books, mermaids, fairies and anything else she happens to be asked. 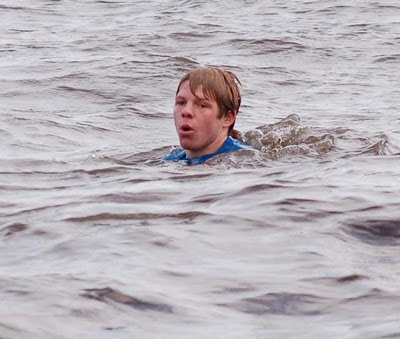 Sunday 2nd May 2010 - St Ives Arts Club. Time and tickets to be confirmed. 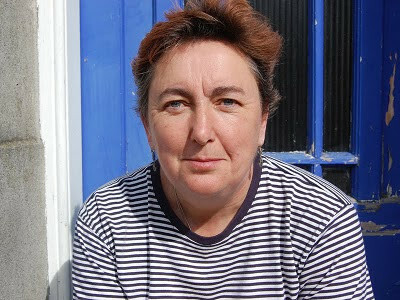 Novelist and poet Ann Kelley will will talk about and read from her latest novel Koh Tabu. Australia's leading poet Les Murray will be reading from his work. Others likely to be reading include Kelvin Bowers, Charles Shaar Murray and Anna Chen. Next Sunday (14th February) is Valentines Day and like many people I'm struggling with the question of what present to buy. So here are some ideas. I've now pulled together and edited a compilation video from St Ives Feast today. It includes The Hurling of the Silver Ball, The Western Hunt in Royal Square, Return of the Silver Ball and finally Throwing Pennies at St Ives Guildhall. 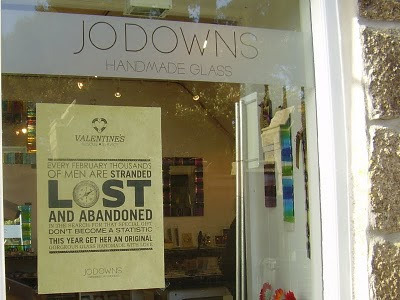 My wife Jo will be holdng a Fabric Stash Sale on Sunday 7th February. 31 Bedford Road, St Ives, 10.00am to 5.00pm. She has a vast range of fabrics and needs to clear some space ! You can choose what you want and fill a bag for a fiver.